Hobbies include: Creating weird and wonderful new smoothie bowl flavour combinations. This Turkish delight nicecream has to be one of my favourites yet. I love the sweet, fragrant rose flavour paired with fresh tartness of raspberries and a hint of chocolate. And we all know dessert for breakfast is always a great idea! This smoothie bowl is full of the nutrient goodness of an abundance of different vitamins, minerals and antioxidants. It's high in fibre, hydrating and refreshing, and also contains a great balance of macronutrients: carbohydrates, protein and essential fatty acids to keep you satisfied and energised throughout the day. My favourite part of smoothie bowls (apart from the eating part, of course) is decorating them. On this Turkish delight bowl, I love adding a variety of pink toppings to add to the theme, such as fresh and dried strawberries, goji berries and dried rose petals, together with some crunchy granola or buckinis. Don't forget to get a little creative and crazy with your own topping decorations...it's good for the soul. 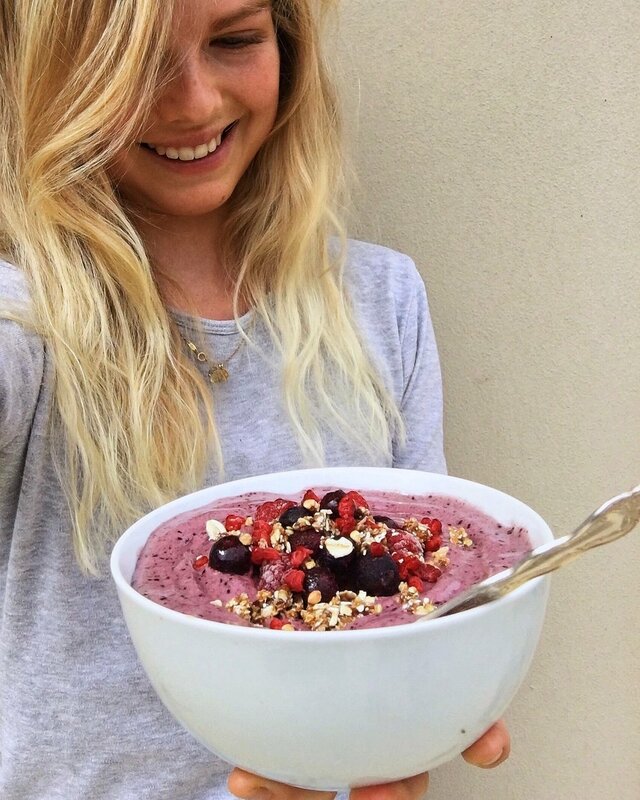 If you try out this smoothie bowl, make sure you tag me on Instagram so I can see your wonderful pink creation!